Since 1916, Danis has been privileged to work on some of the most recognizable and high-profile commercial buildings and industrial projects in the Midwest, Southeast and Florida. Their work includes partnerships with elite Fortune 500 Companies, explosively expanding Healthcare systems, and distinguished Universities. As a versatile company—offering a wide array of services including construction management, design/build, general construction, and lease-back—Danis remains committed to safety. 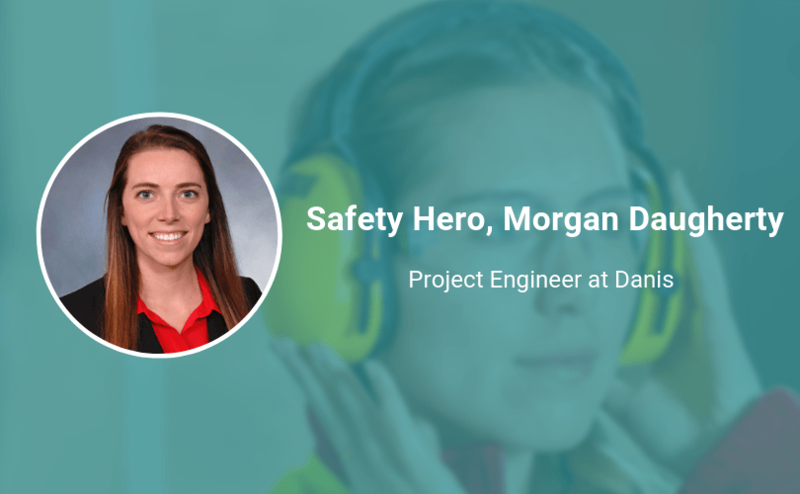 Morgan Daugherty, a Project Engineer, has that same commitment when it comes to supporting the health and safety of her colleagues. Read on to see the best piece of advice she ever received—and her must-hear advice on proactivity and prevention. No matter where you are in your life or career, never stop learning. There will always be someone that can instill knowledge in you. My first project manager gave me this advice and acted on it by having me tell him at least 3 different things that I learned every single day, which is harder than it sounds. It forced me to ask more questions and listen more deeply. Understanding, leadership, and confidence. You have to be willing to learn, set a good example always, and be confident in what you bring to the table. Safety is everyone’s job. There are legitimate reasons why every safety standard and regulation were put into place, and when you allow someone around you to violate that, you’re allowing them to voluntarily risk their health, their ability to come to work the following day, or even their life. Nobody wants to be the person that could’ve stopped an incident, so you have to be the person that prevents it. I just think that the importance of safety programs needs to be stressed, not only in words and intentions, but with action and improvement. Looking back at how safety has grown and improved, especially in the construction industry, over the past few decades, I can only imagine that it will continue to do so in the future. With research and technology developing every day, safety tools and practices will continue to become more advanced, logical, and convenient for use.